New treasures for 2019! Made with love! Announcement Heirloom-quality art pieces! Vintage jewelry given a fabulous new life! Heirloom-quality art pieces! Vintage jewelry given a fabulous new life! 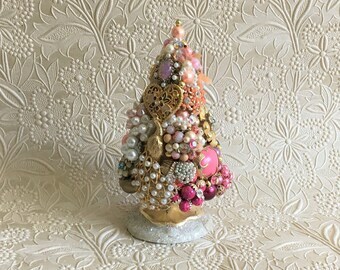 Words cannot describe how giddy with excitement I am over this custom jeweled tree! It far exceeds my expectations, & the pictures don't do it justice! Thank you Leslie!! I will continue to order! So thrilled to add to my collection! 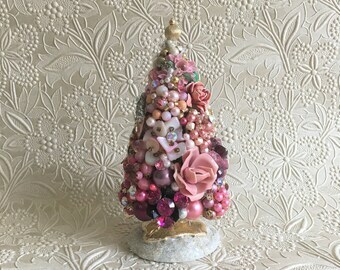 Such a beautiful, sparkly tree! I am so happy with it! 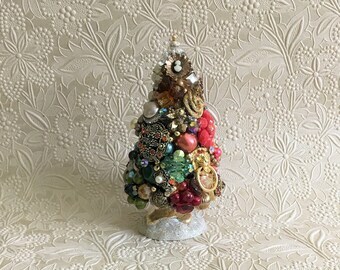 I ordered a larger tree last December, & will continue to order! Super fast shipping, as always!